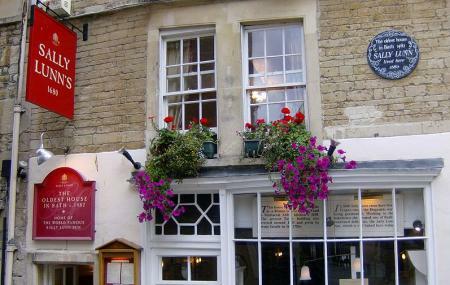 Find hotel near Sally Lunn's Historic Eat .. Located in one of the oldest houses in Bath, this typically English tea and eat house is a delight! Complete with a kitchen museum, that showcases the exact kitchen used by the legendary baker Sally Lunn, this place is perfect for visitors and locals. This all-day location offers authentic local dishes from the region with secret recipes from the baker herself. Once in Bath, do also attend the famous street theatre tour, and enjoy a pre-theatre meal at Sally Lunn’s. Do try the special Sally Lunn’s buns, and feel like you’re a part of the medieval times! How popular is Sally Lunn's Historic Eating House? People normally club together Sally Lunns Historic Museum And Eating House and The Roman Baths while planning their visit to Sally Lunn's Historic Eating House.